Disclaimer: The Earsonics Birdy was sent to us a sample in exchange for our honest opinion and does not have to be returned. We thank Earsonics for this opportunity. Bluetooth wireless streaming. Love it or loathe it is here to stay. Thankfully developers such as Sony and Qualcomm have taken notice of the dire performance quality of anything below aptX by pushing out aptX HD and LDAC to manufacturers and software developers so dots can be audibly joined. In doing so, it is only a matter of time before we start seeing both source and system harmonize in terms of high definition playback across a wide variety of both speaker and headphone/IEM. Whilst we wait for this potential game change to, well, change the game, we have a number of bridging devices that serve that very purpose, delivering HD quality wireless sound to headphones and earphones that normally come wired. One such device is the Birdy from French manufacturers, Earsonics. This is an aptX HD capable diminutive Bluetooth device that allows you to hook up to your favorite earphones of choice for around $290. 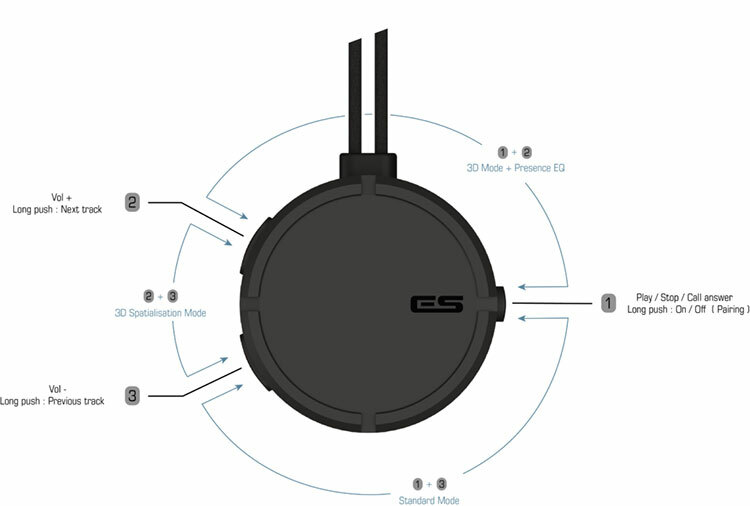 The pitch from Earsonics is fairly simple and a lot more familiar considering we have seen a few of these devices now hit the market such as the FiiO BT1R and Plussound’s Exo BT cable. The Birdy is a Bluetooth device that enables wireless streaming for any IEM you choose or already have through an integrated set of detachable cables. More than that, as is increasingly the case these days, the Birdy will go beyond aptX and AAC and deliver up to aptX HD level which should deliver a much better quality of sound than aptX, (so long as your source supports it). To be able to use aptX HD you do need a higher-grade Qualcomm chip than the usual CSR8645 chipset. The CSR8645 chipset is found in quite a number of Bluetooth capable audio devices from smartphones to DAPs such as Cayin’s N5iis and FiiO’s X5iii. You cannot simply firmware update this chip to broadcast aptX HD though. For that, you need a higher-end chipset called the CSR8675 and of course pay the relevant license fee to use it. The payoff though should be a fairly sizeable jump in sound quality. This is not simply due to a jump in sample or BIT rate but also the level of compression applied to the signal. aptX outputs at the 44.1K and 16BIT sampling rates with a compression ratio of 4:1 at 352kpbs. aptX delivers 24BIT 48k at a compression rate of 4:1 at 576kpbs. This is a lighter, looser compression algorithm than the one applied to aptX. The higher data stream bandwidth in aptX HD, in this case, 576kilobits per second, allows for the looser compression ratio to be applied resulting in lower latency than aptX alone and in theory, better sound quality. The Birdy is really small and has a decidedly round form factor. In fact, it is much smaller than I had anticipated. It weighs just 12g. The Birdy’s volumetric shape is much more compact than either the FiiO BT1R or the BT3R though I would put them largely in the same dongle accessory class in terms of handling. Width-wise it is not much bigger than an old Eisenhower dollar coin or a Kennedy half-dollar. Of course, it is much thicker but that circular shape is suitably apt for dangling around your neck without feeling much if any weight as a result. Earsonics have built the Birdy with a mix of aluminum and stiffened plastics with a matte black coating on the front and sides and a glossier glass-like finish on the base. The top plate is slightly recessed into the side walls with the logo strategically placed on the right beside the power button. The finish and build feel strong as in, drop it and it will not break, or accidentally scrape it and it will not scratch. The Birdy 3 control buttons with multifunction commands. On the right side beside the “ES” logo is the power button which also duals as playback pause, stop and play for music. It will also allow you to answer calls from your phone if you are connected to a smartphone via Bluetooth. Just to the right side of the USB slot, there is also a small microphone port for voice pick-up on the Birdy. The power button is also the pairing button via a long-press when powering on. Pairing mode is indicated by a subtle little white LED light at the top of the left side beside the cable exit and it flashes white. On the left side, you have two elongated buttons which allow you to control volume and track selection. A short press on the top button pushes the volume up and a short press on the lower button pushes volume down in steps. Pressing them slightly longer will go to the next track on the top button and previous track on the lower button. Now here is where things get a bit cute and possibly more complicated considering its diminutive size. If you are a Street Fighter fan it should be a doddle. BY pressing a combination of all three buttons you can tap into the Birdy’s EQ and DSP functionality of which it has no less than 4. The power button plus the top volume button (manual says 1 and 2) together will activate the Birdy’s 3D mode and Presence EQ mode together (they are not separate). By pressing buttons 1 and 3 (lower volume button) you go back to the standard mode with no EQ or DSP. When you press buttons 2 and 3 together (both volume buttons) you go into the Birdy’s 3D spatialization mode. Much like the Plussound EX BT cable the Birdy has its own built-in cable for connecting to any IEM with a 2-pin 0.78mm connection socket. Sadly, there is no MMCX or other alternatives from what I gather or what I can see on their website. 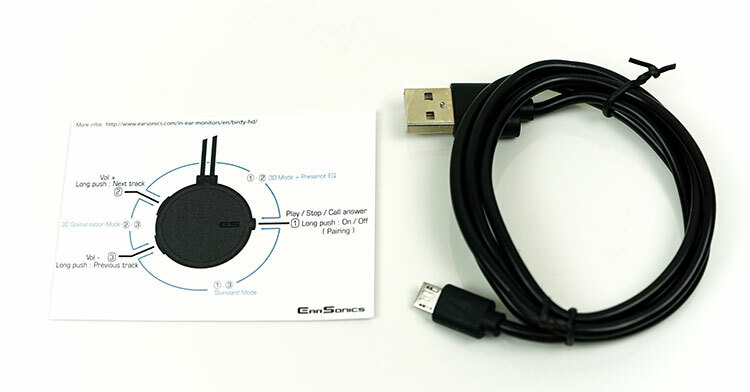 Other dongle devices such as the BT3R from FiiO rely on using a 3.5mm jack port and you insert the IEM’s own cable into that. The cable seems to be a 4-wire OFC wrapped in a nylon jacket. It is fairly lightweight with preformed rubber memory hooks that are largely unobtrusive. It also has no memory retention but does have a tiny amount of microphonics given the additional weight of the Birdy itself at the bottom. That being said there is no noise traveling up the wire from any knocks the Birdy itself receives. The benefit of a supplied cable is that it makes everything a little tidier and shorter looking compared to 1.2m cables around your neck. On that score, the Birdy does a fine job with its chin cinch keeping it very tidy when in use. However, it does take a little away in terms of cable choice. 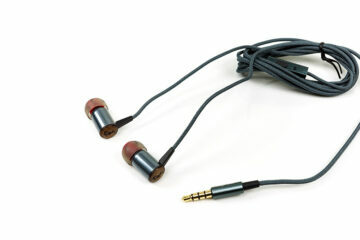 Plussound have got around that by including one of their better EXO class copper cables. This cable may not be as a good a performer in its own right. Also, I do hope we can see future versions with MMCX and other popular connectors to fit a wider variety of IEMs. This is a strong point for the Birdy when compared to other hi-res capable Bluetooth dongle devices. The 3.8V battery rating is 12 to 16 hours compared to the FiiO BTR3’s 300mAh 11 hour in AAC mode max capability. In in my own tests, I was getting just over 10-12 hours, give or take a few mins but it did seem to drop a bit when using aptX HD mostly. You also get a standby mode of up to 3.5 days which is impressive. This may go up or down depending on how much button mashing you are doing and what kind of load you are putting on the output power of the cables. 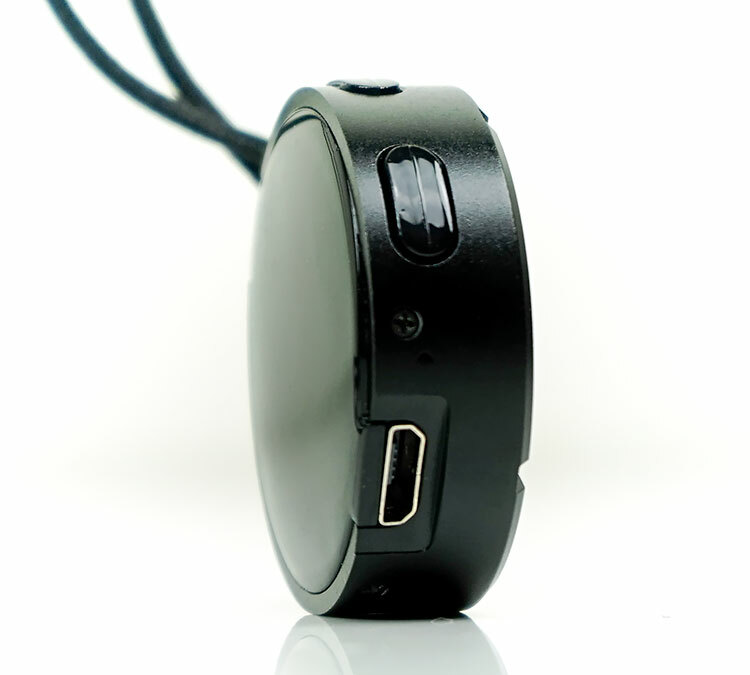 The Birdy has its own internal amplification whilst it uses the Qualcomm chipset to manage any decoding. The specs on the internal amp are actually very good, especially compared to cheaper competitors such as the BTR3 from FiiO. The Birdy is capable of outputting at 130mW par Channel on a 32Ω load with a 0.009% THD+N rating. Compare that to the BTR3 which has a much weaker 25mW on a similar 32Ω load and you quickly see that the Birdy amp should have much better power handling for less efficient IEMs. However, the THD+N ratings are not quite as good compared to the BTR3’s ＜0.003% marker. The Birdy has also had a firmware update which greatly reduces noise on the amp stage. Now it is still not noise-free with the likes of the Andromeda and the Hum Pristine IEMs but it is much quieter than the original firmware. The mute relay kicking in produces a slight pop which I would like to see further reduced if possible. The mute kicks in around 1-2 seconds after pressing pause then you get golden silence. 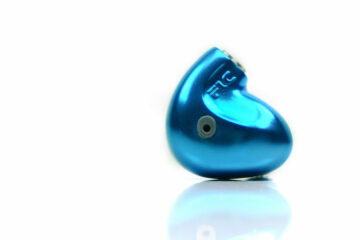 It is a simple and compact package for the Earsonics Birdy but then it does not need to be anything more really. 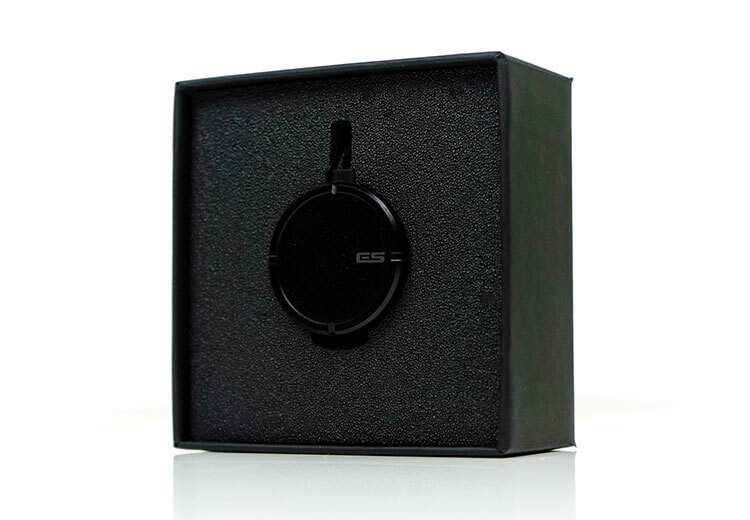 You get a small logo’ed black box with the Birdy neatly on display inside a foam cutout. Just underneath you get a small selection of accessories which include the all-important quick start guide on a single piece of cardboard and a USB cable for charging. The USB cable is a USB-A to micro-USB which is a touch old school for this price point. I would have preferred o have seen a USB-C instead to allow for quick charging on the go with power banks or suitably designed laptops. Not yet Wiet but it is an interesting proposal, might email Earstudio.